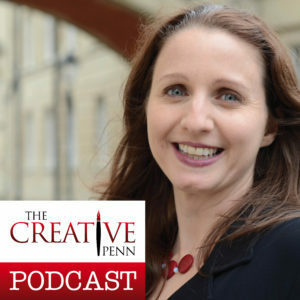 The Creative Penn is a MUST LISTEN for writers! It’s ME, It’s HIM, It’s T-I-M, Here again to share with you some exciting news!! I hit another milestone in my writing profession. No, I’m not talking about getting to interview Clive Barker for a publication. I’m also not talking about hitting the top of 3 Amazon bestseller lists which I did with my latest book IT’S ALIVE: Bringing Your Nightmares to Life, which is available now from Crystal Lake Publishing. I’m also not talking about having that same book be currently on the preliminary ballot for the Bram Stoker Awards this year (fingers crossed!) but rather I’m talking about getting booked to appear on the BEST DARN podcast for writers. I’ll be the guest of Joanna Penn this June on The Creative Penn podcast. 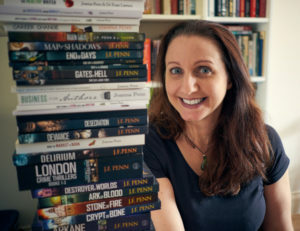 Joanna Penn is an Award-nominated, New York Times and USA Today bestselling author of thrillers under J.F.Penn and also writes non-fiction for authors. She’s an award-winning entrepreneur, podcaster, and YouTuber. Her site, TheCreativePenn.com has been voted in the Top 100 sites for writers by Writer’s Digest. She is an Award-nominated, New York Times and USA Today bestselling thriller author, as well as writing non-fiction for authors.She’s written 28 books and sold over 500,000 books in 84 countries and 5 languages. She’s an independent (indie) author and also runs a small press, Curl Up Press, with her husband and business partner. Here’s more of what she has to say, in her own words. “I’m also an international professional speaker and award-winning creative entrepreneur. In 2018, I was awarded Publishing Commentator of the Year by Digital Book World. I’m based in Bath, England although I lived in Australia and New Zealand for 11 years. I’m a travel junkie and am often away on book research trips to interesting places. I like to go hiking, but also love relaxing with a book and a glass of pinot noir, or a gin & tonic (Hendricks & Fever Tree). Joanna has been an inspiration and a motivating voice in my ear for years. Simply put: She’s amazing. A few of my friends (Michaelbrent Collings, etc) have been on the show and I’m honored to talk shop about some of my writing successes and what keeps me going. I’ve heard her mention wanting to write horror so I look forward to diving into that. She’s the BEST, do yourself a favor and check her out. You’ll be glad you did. Also make sure you subscribe to her podcast before June, you won’t want to miss this!! ROB VAN DAM -live- AT HOOTERS!! WHAT! ?